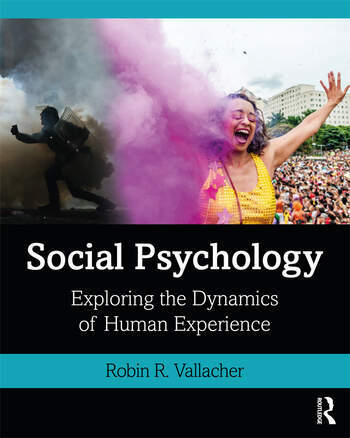 This textbook provides a thorough insight into the discipline of Social Psychology, creating an integrative and cumulative framework to present students with a rich and engaging account of the human social experience. From a person’s momentary impulses to a society’s values and norms, the diversity of social psychology makes for a fascinating discipline, but it also presents a formidable challenge for presentation in a manner that is coherent and cumulative rather than fragmented and disordered. In accessible and readable style, the author shows how the field’s dizzying, and highly fragmented, array of topics, models, theories and paradigms can be best understood through a coherent conceptual narrative in which topics are presented in careful sequence, with each chapter building on what has already been learned while providing the groundwork for understanding what follows in the next chapter. Also addressing recent developments such as how computer simulations and Big Data supplement the traditional methods of experiment and correlation, and covering an enormous range of topics from self-concept to conflict and social change, this comprehensive textbook is essential reading for any student of Social Psychology. Robin Vallacher is Professor of Psychology at Florida Atlantic University, US, and Research Associate in the Center for Complex Systems, Warsaw University, Poland. He has authored or edited 8 professional books and published over 150 journal articles and book chapters on topics ranging from intrapersonal processes (e.g., self-concept) to societal phenomena (e.g., conflict, social change).